John "The World" Hennigan and Mori Eskandani are the two newest members of the Poker Hall of Fame. Earlier tonight, the World Series of Poker revealed that a blue ribbon panel consisting of the living members of the Poker Hall of Fame, as well as selected members of the media, had named Hennigan and Eskandani as the 55th and 56th entrants to the Poker Hall of Fame. Eight men - Chris Bjorin, David Chiu, Bruno Fitoussi, Mike Matusow, Chris Moneymaker, David Oppenheim, Matt Savage and Huckleberry Seed - did not make the cut this year. All eight of the finalists that did not make the Hall of Fame this year will once again be eligible for induction next year. John Hennigan was an easy choice for the Poker Hall of Fame. Hennigan is regarded as one of the most well-rounded poker players in the world, as he excels at every game that he plays. Hennigan has more than $8 million in total lifetime tournament cashes, as well as five World Series of Poker bracelets. Hennigan continues to excel at the age of 48, as evidenced by the fact that he is currently sitting at the top of the WSOP POY leaderboard. Mori Eskandani has been one of the people responsible for poker's surge in popularity over the past 15 years, as he has been the person behind such shows as Poker After Dark, High Stakes Poker and the World Series of Poker on ESPN. These shows all helped bring poker to the masses, and he is one of the major reasons why the World Series of Poker main event continues to swell in size. Eskandani has been one of the main driver's behind poker's mainstream success over the past 15 years, while Hennigan is a respected poker player that continues to turn in strong results decades after he started his poker career. 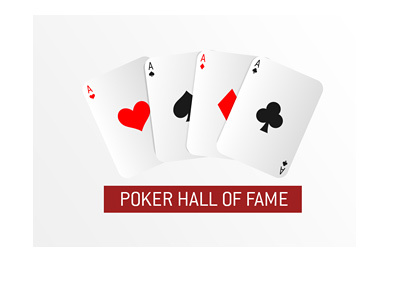 Both Hennigan and Eskandani are great choices to enter the Poker Hall of Fame, and they will now join names such as Doyle Brunson, Johnny Chan and Daniel Negreanu as members of the illustrious club.